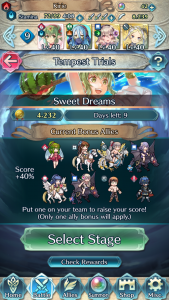 Heroes: Tempest Trials+: Sweet Dreams Now Live! 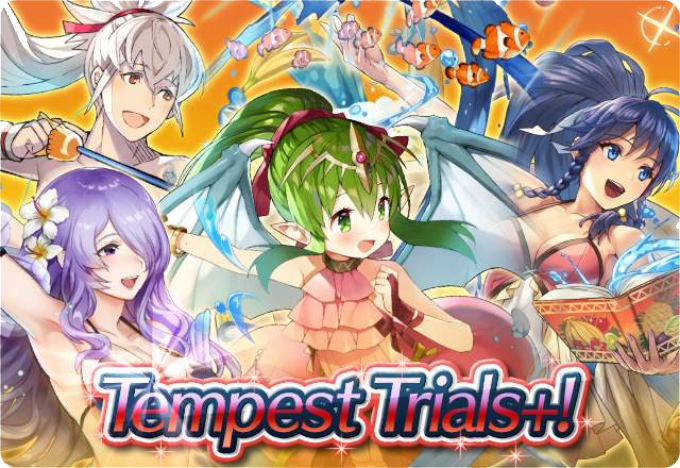 The latest Tempest Trials has now begun in Fire Emblem Heroes! 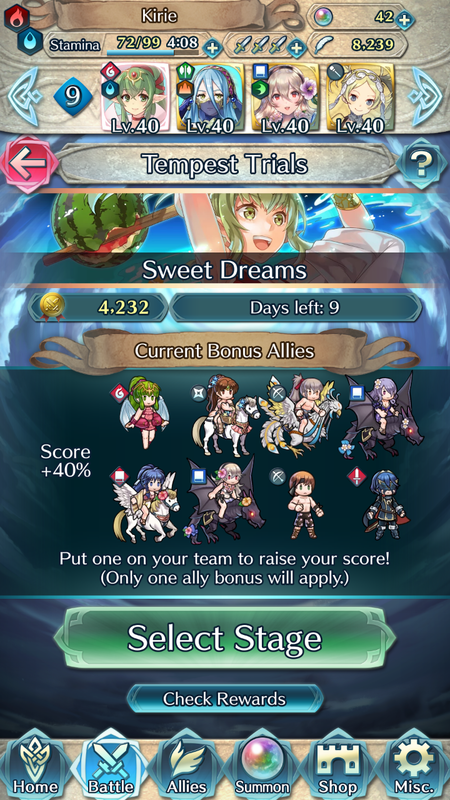 Head over to the Events menu to check out Tempest Trials+: Sweet Dreams. 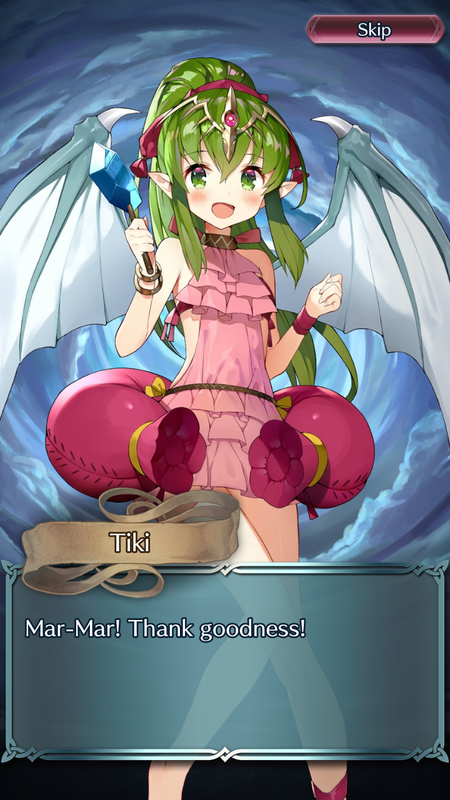 The TT opening page shows you a lot of important information about the event, including available Bonus Allies and your current score. 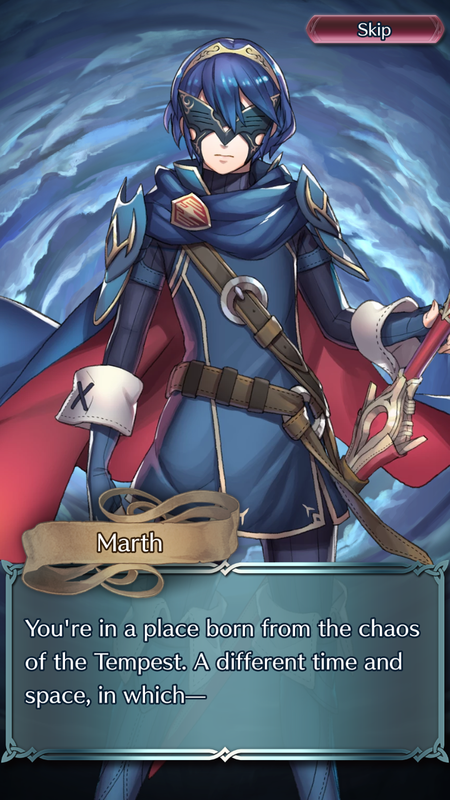 Bring one of the listed Summer Heroes or Masked Marth into battle for an extra 40%! 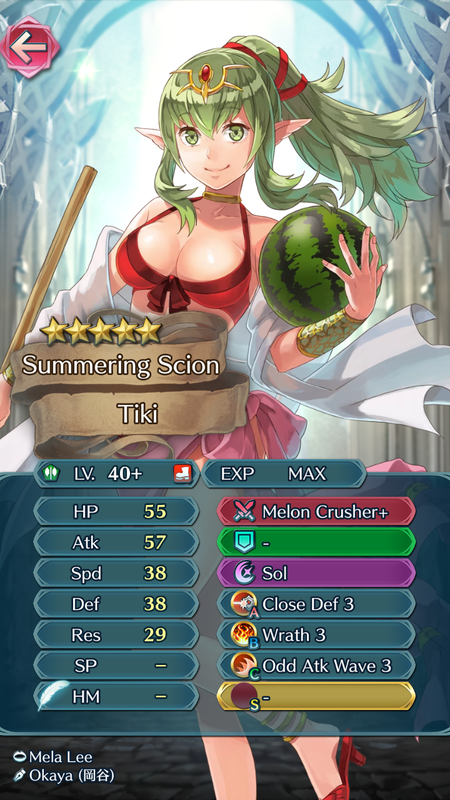 Tiki: Summering Scion appears in the new, beach-themed final map as the boss. 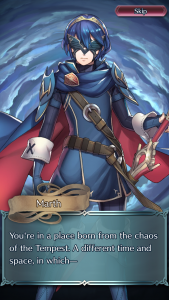 Units: 4★ Marth: Enigmatic Blade at 1,000 and 5★ Marth: Enigmatic Blade at 15,000. Sacred Seals: HP/Res 1 at 6,000, Spd Ploy 1 at 10,000, and Flashing Blade 1 at 20,000. Orbs, Hero Feathers, Sacred Coins, Shards, and Crystals galore! You can also earn daily rewards by playing maps each day and completing the Daily Quests. Daily Quest rewards will double halfway through the event. 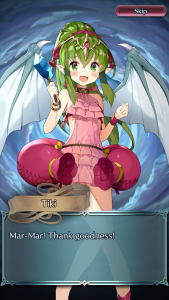 Furthermore, you can keep earning points beyond the 50,000 mark to compete in the Rank Leaderboard for even more Hero Feathers! Tempest Trials+: Sweet Dreams will be around for ten days, fading into the mists on 25 July. 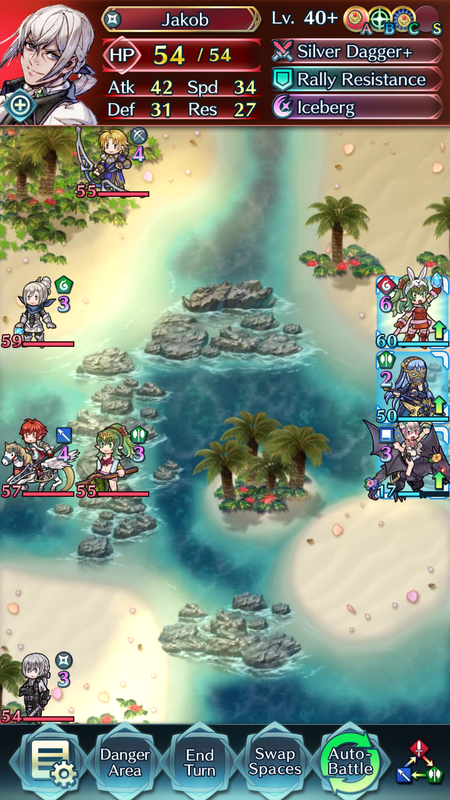 Fairly easy TT+, and the recently added continuous auto play feature is nice and helps with grinding out the map. 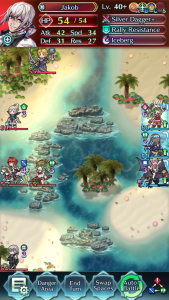 continuous auto play as in when you hit auto battle and you clear the auto battle keeps going? We’ve had that for a long time.